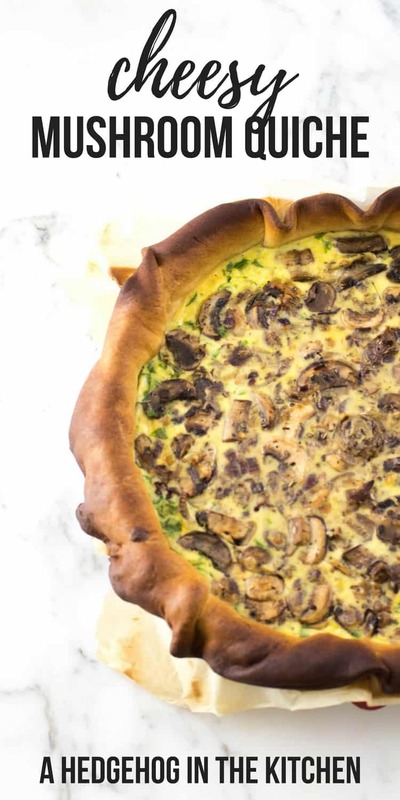 This cheesy mushroom quiche is about to become your family’s favorite quiche recipe! All you need is pastry dough, red onion, shallot, garlic, Italian herbs, mushrooms, eggs, emmental cheese, parsley and olive oil. 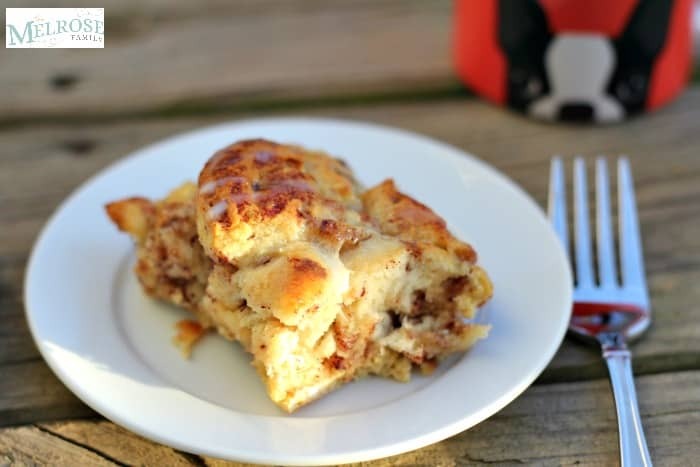 This delicious recipe only takes 45 minutes from start to finish. It’s Alix and Hugo from A Hedgehog in the Kitchen back again to share a tasty quiche recipe with you! Here in France we love making quiche as a quick, simple and healthy dinner. Once you’ve made this cheesy mushroom quiche, make sure you come back to try two more we make on repeat in our home : this pumpkin goat cheese quiche and our goat cheese zucchini quiche. The whole family will love them! One of the best things about this quiche is how tasty it is reheated the next day. 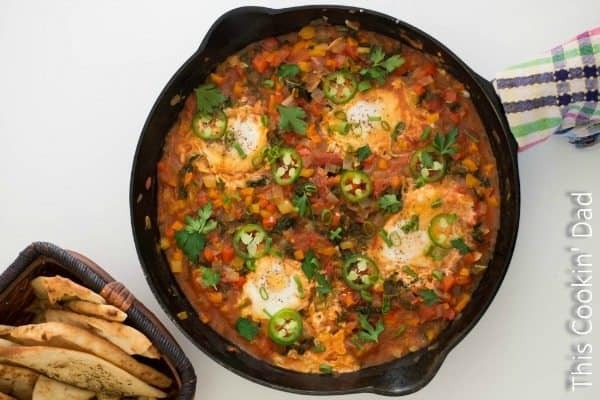 You can enjoy it for dinner and again for lunch the next day or prepare it in advance if you’re having friends over for dinner. Careful not to overcook the mushrooms! You can make your own Italian herbs mix using equal parts dried basil, thyme, hot chili and oregano. Use ceramic baking beans to hold the pastry dough in place while you are preheating it. 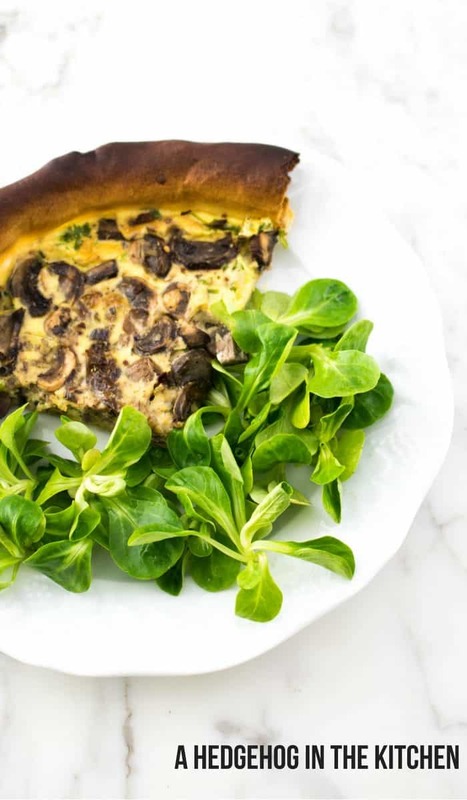 Make crustless mushroom quiche by lining a quiche mold with wax paper and pouring the mixture directly in (without the crust). We make this quiche regularly and have made it for friends several times and it’s always a favorite dish! We serve it with a side salad and a dash of our French vinaigrette. If you are a mushroom lover, then make sure you stop by to try our decadent Italian 3 mushroom pasta and French pumpkin mushroom bowls with brown rice (healthy + naturally vegan too). Part of the fun of making these dishes for us is being able to shop for mushrooms in our local Parisian markets. 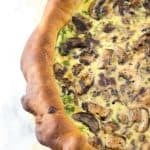 This cheesy mushroom quiche is a combination of mouthwatering ingredients : pastry dough, red onion, shallot, garlic, Italian herbs, mushrooms, eggs, emmental cheese, parsley and olive oil. 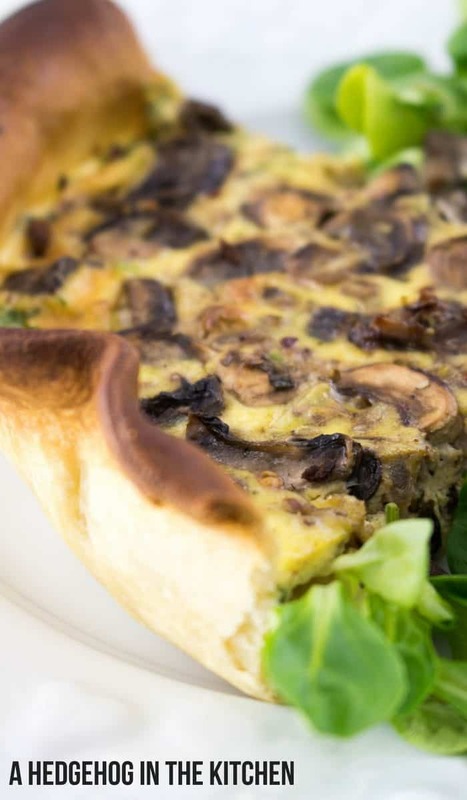 A cheesy mushroom quiche recipe that is the perfect brunch recipe. Meanwhile, heat olive oil on medium heat. Add onion, shallot and a pinch of salt and cook for 4 minutes. Add garlic and Italian herbs and cook for a minute. Add the mushrooms and cook for 4 minutes. Mix eggs, cream, cheese, parsley, salt and black pepper in a bowl. Bake for 10/15 minutes or until the puff pastry is cooked through. 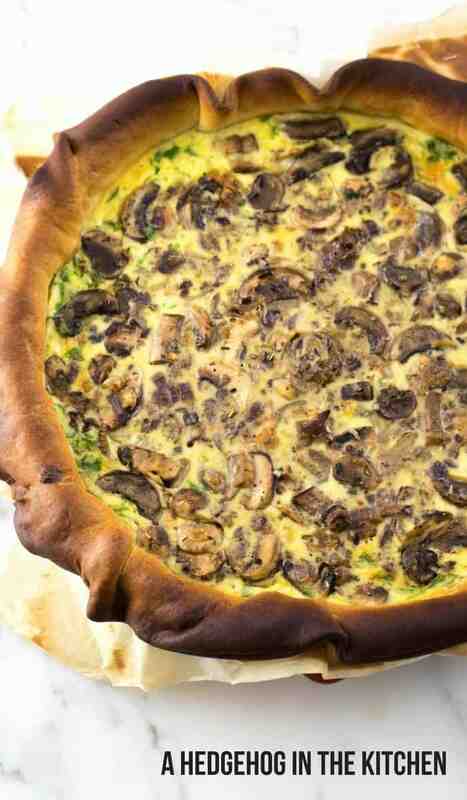 If you liked this Cheesy Mushroom Quiche recipe you might also like…. 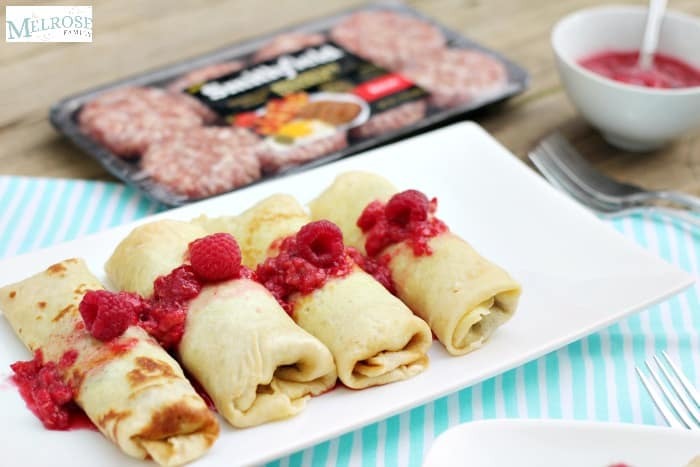 From left to right: Bacon Gouda Crepes with Raspberry Compote, Cinnamon French Toast Bake & Shakshuka.